Community Closing Network, LLC (CCN) and its subsidiary agencies, including Community Title Network, Continental Title Group, Real Estate Title & Escrow, and Homesale Settlement Services, recently obtained independent third-party American Land Title Association (ALTA) Best Practices certification. CCN enlisted the assistance of national certified public accounting and management consulting firm PYA, P.C. to perform the independent third-party certification. The decision to pursue independent certification for its subsidiary agencies was based on the company’s recognition that customer service has evolved and continues to change at a faster pace. CCN CEO Michael Ridgway said such an investment in the certification process shows realtors, lenders, and consumers how dedicated CCN is to the highest level of customer service, which now includes the promise of security when handling their personal information and their money. Industry regulators have recently increased their demands for protective measures throughout title and settlement procedures. ALTA created the Best Practices Framework to help title and settlement agents prepare policies and procedures to protect lenders and consumers. Best Practices certification comes after a rigorous third-party assessment covering all areas of title and settlement services, including licensing, escrow trust accounting controls, privacy and information security, written policies and procedures, liability and fidelity insurance confirmation, and guidelines for customer relationship management. For more information, visit the CCN website, www.ccnetllc.com. Community Closing Network, LLC, offers a full and comprehensive platform of services to title agencies and agents. CCN’s subsidiary title agencies: Community Title Network, Continental Title Group, Real Estate Title & Escrow, and Homesale Settlement Services, provide title and settlement services to realtors, lenders, and consumers throughout Maryland; Delaware; Washington, DC; and Virginia leveraging the CCN platform. Following the vision of its co-founder and CEO, Michael Ridgway, and his 32 years of setting the standard in his markets as a “value-add partner” to realtors, lenders and builders in settlement services, the CCN family of title agencies is quickly being recognized as an innovation hub in providing cutting-edge customer service to all stakeholders in the real estate closing process, by introducing customer service solutions through technology and data security. For more information about how title agencies and title agents can leverage the CCN platform, contact Michael Ridgway at mike@cccnetllc.com or visit www.ccnetllc.com. For over three decades, PYA, P.C., a national professional services firm providing management consulting and accounting, has helped its clients navigate and derive value amid complex challenges. PYA serves the title industry with a comprehensive list of offerings, including: ALTA Best Practices implementation and assessment; strategic planning; mergers and acquisitions; tax compliance; and regulatory compliance. PYA’s steadfast commitment to an unwavering client-centric culture has served the Firm’s clients well. PYA is ranked among INSIDE Public Accounting’s “Top 100” Largest Accounting Firms. PYA affiliate companies offer clients world-class data analytics, professional real estate development and advisory resources, comprehensive claims audits for self-insured Fortune 500 companies, wealth management and retirement plan administration, and business transitions consulting. PYA assists clients in all 50 states from offices in Atlanta, Kansas City, Knoxville, Nashville, and Tampa. For more information, please visit http://www.pyabestpractices.com or call us at (800) 270-9629. PYA has released a white paper that discusses the importance of the AICPA’s cybersecurity risk management framework and System and Organization Controls for Cybersecurity in assessing the strength and effectiveness of cybersecurity risk management programs for title and settlement companies. A new PYA white paper outlines the American Institute of Certified Public Accountants’ (AICPA) cybersecurity risk management framework and System and Organization Controls (SOC) for Cybersecurity, and the role they play in the development of an effective cybersecurity risk management program and the assessment of cybersecurity risk readiness for title and settlement companies. A cybersecurity breach can result in tremendous financial loss—to the tune of millions of dollars—and reputational damage— sometimes fatal—for afflicted companies. To help mitigate the risk, the AICPA released a cybersecurity risk management reporting framework last year. The framework is used as a reference point for independent certified public accountants (CPAs) to engage SOC reporting on the overall effectiveness of an organization’s cybersecurity risk management program. The SOC for Cybersecurity, when combined with the Best Practices Framework developed by the American Land Title Association (ALTA) offers many benefits over a stand-alone Best Practices certification. PYA assists title and settlement companies by conducting SOC 2 and SOC cybersecurity risk management examinations; gap analysis to determine if an organization is ready for SOC 2 or SOC cybersecurity; and examinations to mitigate regulatory, financial, and reputational risks. Debra Gentry, director of ALTA Best Practices Services Group at PYA (Pershing Yoakley & Associates), has been awarded the National Title Professional designation by the American Land Title Association. 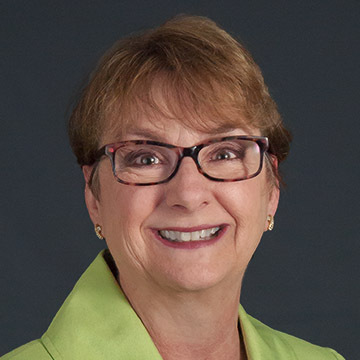 PYA, a national certified public accounting and management consulting firm, is pleased to announce that Debra Gentry, director of PYA’s ALTA Best Practices Services Group, has been designated as a National Title Professional (NTP) by the American Land Title Association (ALTA). The NTP Program recognizes land title professionals who demonstrate the knowledge, experience, and dedication essential to the safe and efficient transfer of real property. Selection for this designation was determined through an extensive application process in which land title professionals demonstrate their knowledge, experience, and efficiency in/dedication to the land title industry. 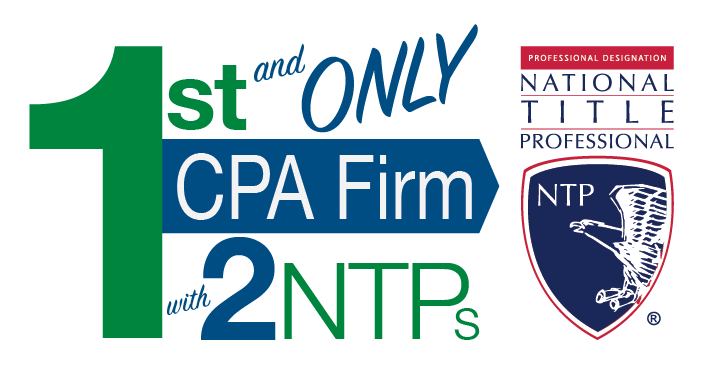 In order to receive the NTP distinction, Gentry was required to meet the particular standards and criteria of the NTP Program. According to ALTA, the NTP represents a measure of achievement and commitment to career development. Gentry is a licensed Tennessee title agent with more than 30 years’ experience in residential and commercial real estate closing and escrow businesses. She has worked in law firms and title agencies performing all aspects of the real estate closing transaction. In addition, she has worked for a national underwriter and was sales director for RynohLive. She assists PYA’s clients with the development of ALTA Best Practices policies and procedures, implementation of ALTA Best Practices, and performance of third-party assessments. Her involvement with ALTA and TNLTA spans many years. She serves on the ALTA Best Practices Task Force and ALTA Membership committee.